Gear.Club Unlimited 2 (Coming Dec 4, $59.99) – Drive with freedom, in this Switch exclusive simulation racer! Admire the growing collection in your garage, with more than 50 licensed cars from the world’s most famous manufacturers, such as the Porsche 718 Boxster, 918 Spyder, 911 GT2RS, Dodge Viper, Lotus 3-Eleven or McLaren 720s. Personalize them with paint, bodywork, or engine tuning. You would be nothing, however, without your Club! Create and manage it with your friends from all over the world. Monster Boy and the Cursed Kingdom (Coming Dec 4, $39.99) – A legendary series returns with a grand new adventure! Enjoy a colorful action-adventure game made alongside Ryuichi Nishizawa, creator of the original Wonder Boy in Monster World series. Monster Boy and the Cursed Kingdom borrows the best from the classic series to deliver a fresh, modern adventure with fun gameplay, memorable music and gorgeous hand drawn animations. 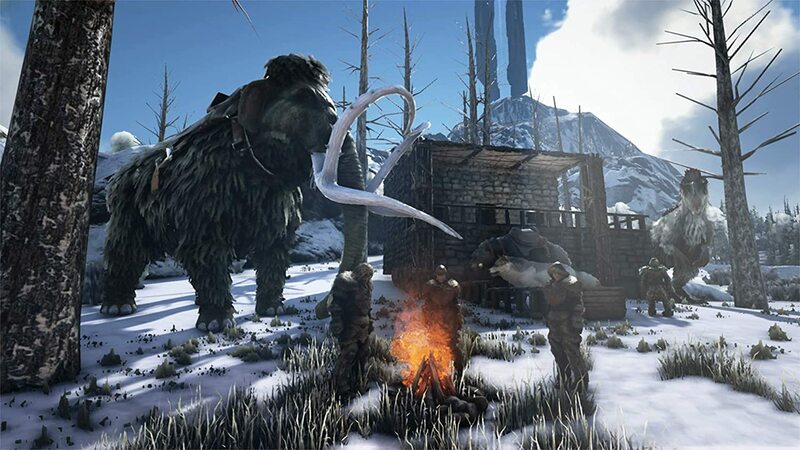 ARK: Survival Evolved (Coming Nov 30, $49.99) – Stranded on a mysterious prehistoric island, you must explore its vast biomes as you begin to hunt, harvest, craft tools, grow crops and build shelters to survive. 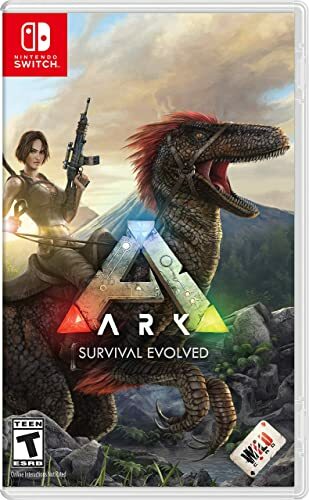 Use cunning and skill to kill, tame, breed, and even ride dinosaurs and other primitive beasts living on “The ARK.” Advance your technology from primitive stone tools to T-Rex-mounted laser cannons, as you group up with thousands of players online or enjoy a solo Jurassic experience. 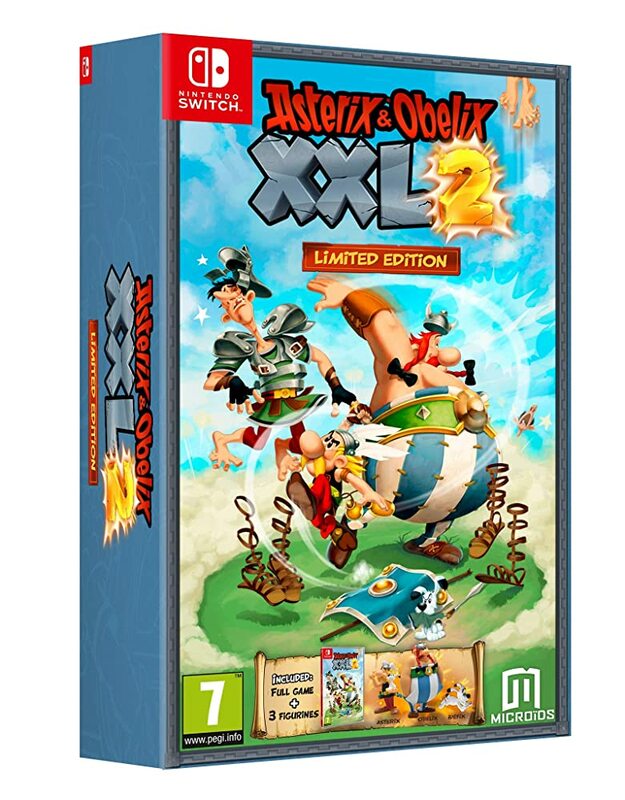 Asterix & Obelix XXL 2 (Out Today, $49.99) – More than 10 years following their last appearance, Asterix and Obelix are back and in better shape than ever, with a winning combination of comedy and brawling. But where has Getafix gone? The long-bearded druid has disappeared after betraying his own people for Julius Caesar! Physical version includes 3 Limited Edition figurines for Asterix, Obelix, and Dogmatix. Toki (Coming Dec 4, $29.99) – The cult action/platform game originally released on arcade machines in 1989 is back with a super-simian new version, featuring all-new hand-drawn graphics and re-orchestrated music! Toki the warrior lived peacefully in the jungle with his sweetheart Miho. Appearing out of nowhere, the terrifying voodoo sorcerer Vookimedlo and heinous demon Bashtar kidnap Miho and turn the poor Toki into a chimpanzee! 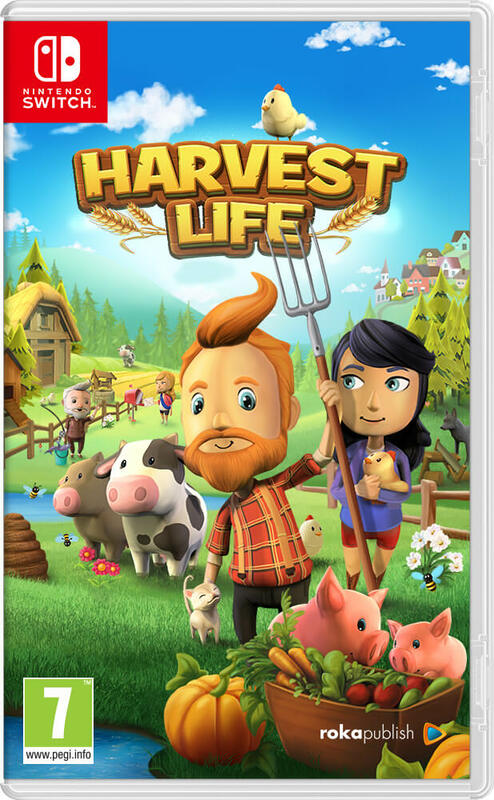 Harvest Life (Coming Nov 30, $29.99) – Put on those rubber boots, fetch your pitchfork, and get your organic farm going! Depending on the weather and the local villagers’ demands, you tend to your fields and take care of your livestock, selling your products in your farm store. Exciting challenges add adventure: Will you manage to get the carriage through the woods before the wolves get it? Will you find the lost dog in the creepy catacombs? And will you finally win your sweetheart’s love? ABZÛ (Out Today, $17.99) – From the artistic mind behind Journey and Flower, comes a beautiful underwater adventure that evokes the dream of diving. Immerse yourself in a vibrant ocean world full of mystery and bursting with color and life. But beware, dangers lurk in the depths. “ABZÛ” is from the oldest mythologies; AB, meaning water, and ZÛ, meaning to know. ABZÛ is the ocean of wisdom. Secret Files: Tunguska (Coming Nov 30, $14.99) – The award-winning interactive mystery thriller debuts on the Switch! When Vladimir Kalenkow, a high-ranking scientist looking into the unexplained Tunguska catastrophe from 1908, goes missing, his daughter Nina and his assistant Max are drawn into a conspiracy of epic proportions. Chased across the globe by the Russian intelligence apparatus, the two adventurers solve mysteries in Germany, Russia, Cuba, China and even Antarctica. The First Tree (Coming Nov 30, $9.99) – A third-person exploration game centered around two parallel stories: a fox trying to find her missing family, and a son reconnecting with his estranged father in Alaska. Players take control of the fox on a poignant and beautiful journey that crescendos at the source of life, and perhaps result in an understanding of death. Superbrothers: Sword & Sworcery EP (Out Today, $9.99) – Traverse a mythic little realm, use a sword to do battle & evoke ‘sworcery’ to solve mystical musical mysteries. Experience a videogame world that is affected by moon phases & help a wandering warrior monk complete her woeful errand. Screencheat: Unplugged (Out Today, $9.74 – Early Bird Discount) – The award-winning, split-screen shooter where everyone is invisible so you have to “screencheat” (verb: to look at your opponent’s screens), enhanced exclusively for Nintendo Switch! 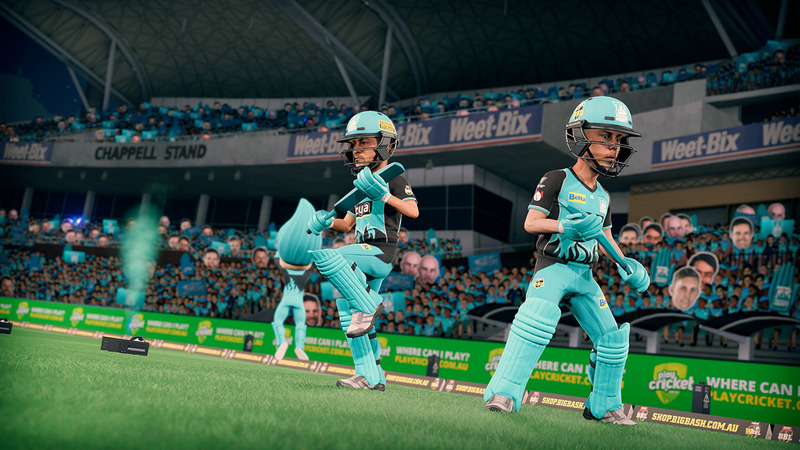 Inspired by the great split-screen shooters of yesteryear, it’s a fresh take on the classic couch multiplayer you know and love!